I really enjoyed Hitchiker's Guide, so I finally picked this one up on Audible. I really enjoyed it, both the narration and the story. The writing is a bit funny sometimes -- not funny "ha ha" but funny "man, where is he going with this" funny -- and I found myself caught up in the endless conversation. There are many digs at modern culture and how it might've played out, and it's aged well (it's 26yrs old at the time of this review). Highly recommend, but some might not enjoy the writing style as much as I do. 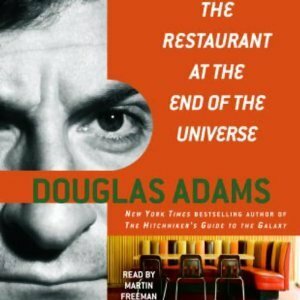 Sign into Goodreads to see if any of your friends have read The Restaurant at the End of the Universe.